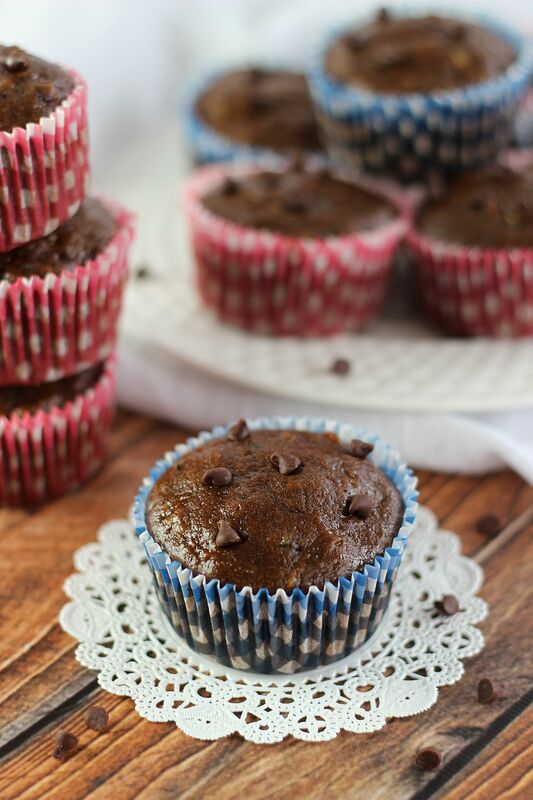 Moist and flavorful chocolate zucchini muffins with mini semi-sweet chocolate chips. 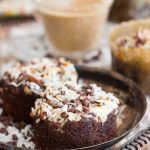 Simple to whip up, and they taste like a healthy brownie! Today I have a special guest. My big brother! He’s become somewhat of a foodie himself in recent years. You know the vegetable garden I mention that I want to plant, but never do? He actually does it. When he cooks, he incorporates what he’s homegrown, farm-to-table style, making us all feel very unaccomplished. Oh, just me then? I approached him about writing a guest post because, like me, he’s also an attorney, who also enjoys writing for fun, and who also pursues a lot of creative outlets outside of his day job. We did come from the same family. Allegedly. He’s a little more into cooking, but he and his wife like to bake together too. In the timeless poem, “Monday’s Child,” it is said that children born on a Saturday “work hard for a living.” What the poem does not reveal, however, is that some Saturday children – including my sister, the GLG – can also be incredibly sneaky… sneaky enough to start and maintain a blog for over a year without her family knowing a thing about it! Of course, this isn’t the first time the GLG has sought fame and fortune through her love of baking. To the contrary, as a precocious six-year old, she once sought baking glory on the grandest stage of all: the 1989 Copley (Ohio) Heritage Days Festival Baking Competition. Our mother actually entered us both into this esteemed competition. For my entry, I delved deep into our family’s baking history and decided to enter an all-time favorite recipe: Chocolate Zucchini Bread. Now, you’re undoubtedly asking yourself what recipe the proprietress of this blog produced for her entry. Something complex and sophisticated, like this Coconut Pavlova with Mango-Kiwi Compote? Perhaps a closely guarded secret recipe from the family archives, a la Cracked Top Ginger Cookies? She won, of course. FIRST PLACE in the ‘candy’ category. Meanwhile, my perfect zucchini bread garnered no better than SECOND in ‘breads’. But in true gold-lining fashion, my mother has always pointed out that mine was the first to sell out once the competition was over. Now, although I failed to take home the cherished first place ribbon that day, you’ll still love this recipe. It’s a tasty and delicious bread for any occasion. 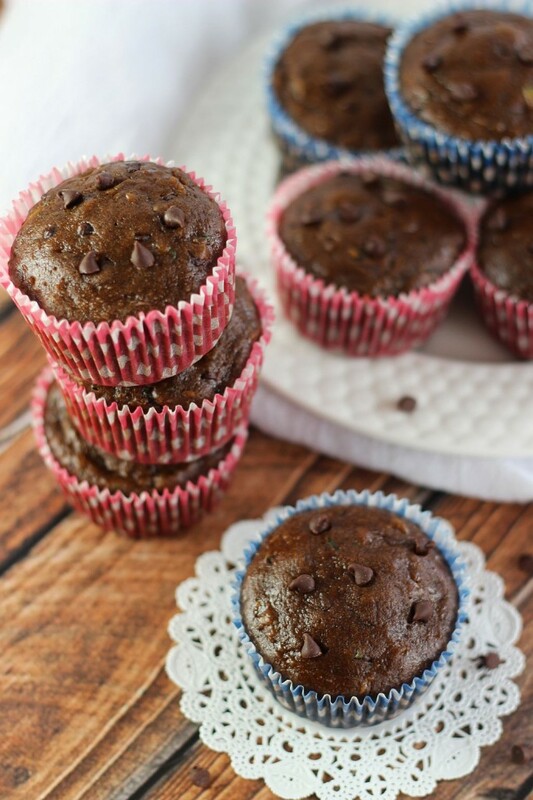 This version has been portioned into muffins for portability and on-the-go snacking! 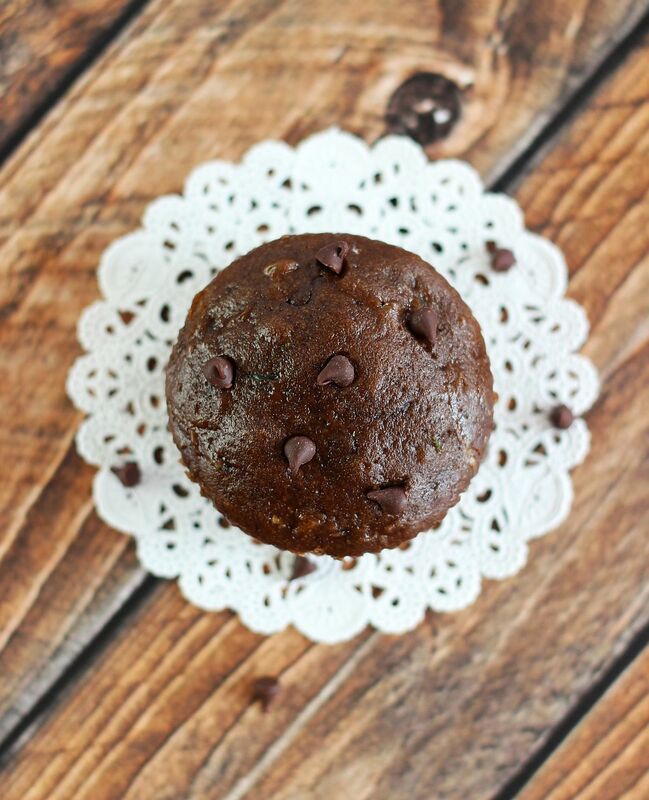 This Chocolate Zucchini Muffin recipe is also a little ‘healthified’ from our original family version. A little less sugar, substitute out some of the oil for protein-packed Greek yogurt. 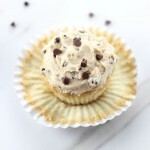 But you’ll never notice a difference – of course, mini chocolate chips help that cause. These really taste a lot like brownies. 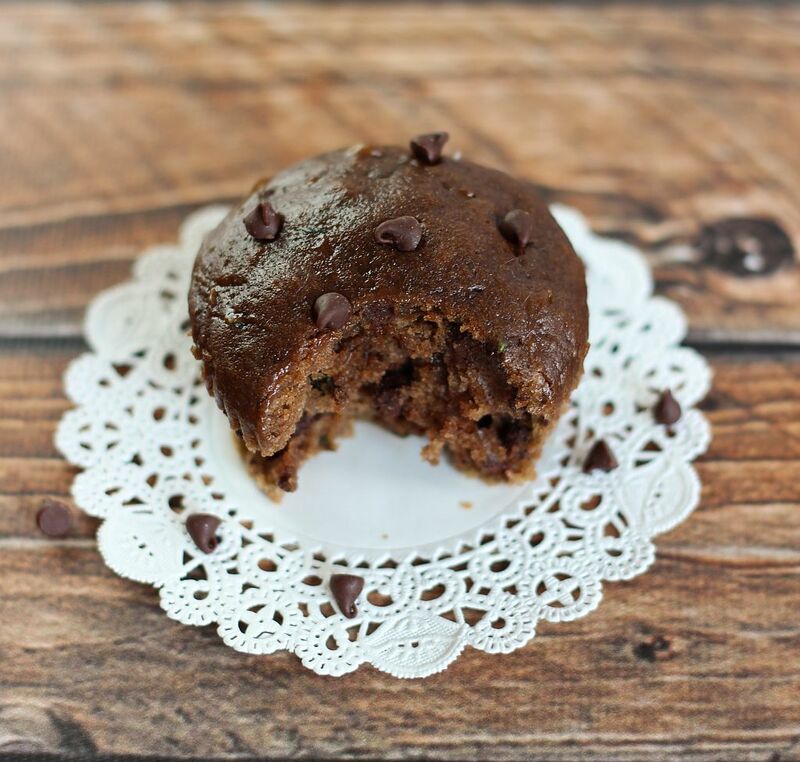 So indulgent that you think you should feel guilty, but you can enjoy these guilt-free! I loved this guest post. It’s so fun to get family members and friends involved in the blog. How in the world did you keep your blog a secret for so long?! That’s funny! The no bakes didn’t set up because it was 90 degrees that day! They still tasted great, though! I don’t remember them myself, but I would think that melty no-bakes would be pretty delicious! Haha! Now that you know her secret alter-ego, you must stop by more often to share stories like these. Family competition is such fun and these look mouthwatering. I love the swap for greek yogurt. Genius! Yes, I’m thinking of suckering him into writing for me more often. It’s so hard to keep up, right? Yep, my cover is blown and the word got out about the blog. Haha! Hi Jeff! So nice to meet you! 🙂 That was a wonderful story that you shared, now I am curious to know what did Sarah make which made her win the 1st prize?? These muffins looks absolutely perfect, so moist that I want to sink my teeth into them right away! I was a secret blogger for a year as well! Good cooking runs in the family, these muffins look awesome. Perfect for sneaking veggies to my six year old! How funny! I hear that from a lot of other bloggers too… that they kept their blogs under wraps for a while. Wonder why we do that! Lol. So glad you like the recipe! Hilarious sibling rivalry, all in good fun! I cannot wait to try this recipe, especially because of the Greek yogurt sub. And, I love all things chocolate and always have way too much zucchini to handle. I need to know the answer to the question as to whether or not Jeff has his secret blog as well? Or, better yet, will you two be joining forces and end up on Food Network any time soon? Ooooh, the Food Network. We should definitely be in talks for a brother/sister cooking show. That could be epic. I am wondering the same thing… whether he has a secret blog that he just hasn’t revealed yet. I have my suspicions, indeed! Welcome Jeff! So great to hear some stories about Sarah! We need that no bake recipe! Great job on the muffins, they look delicious! I mean, that no-bake recipe is 1st prize winning. I don’t know if I can share such a treasured recipe. Ha!!! So glad you liked the guest post and the recipe!! Thank you! Nice to meet you Jeff! What a great guest post! Loved hearing more stories about Sarah! Awesome job on these muffins! They look amazing! Don’t they look great? I love the addition of mini chocolate chips! Thanks, Kelly! Thanks for this great recipe Jeff! You won’t believe it’s a second place recipe when you try it! Thanks, Zainab! 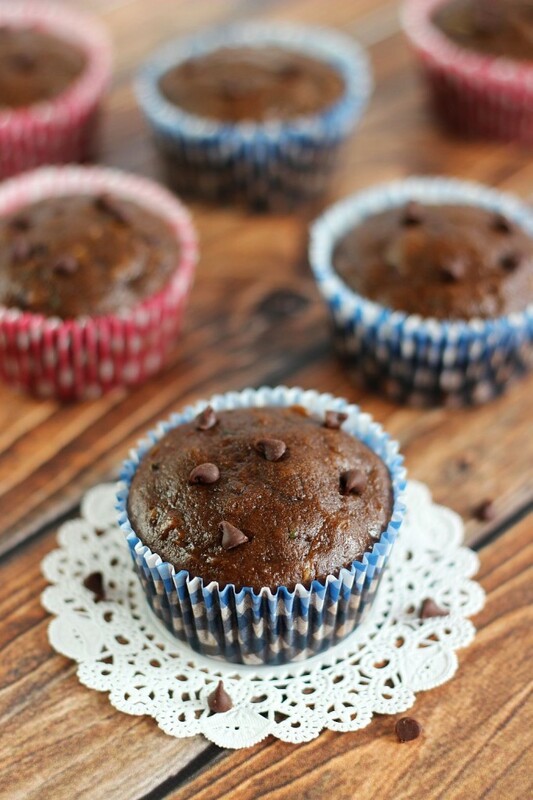 You had me at chocolate zucchini muffins! They look perfect. Thanks for sharing, Jeff! Hi Jeff! Nice to meet you. What a great guest post and funny too. Loved hearing about Sarah. Sarah I can’t believe you blogged for a year and didn’t say anything. You are so good. I complain to much to my family for them not to know, hehe. 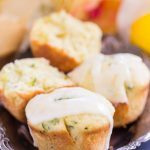 These muffins look so moist and delicious for an afternoon snack. Yum. I kept this gig pretty under wraps for a long time. There’s a lot of people that still aren’t aware actually. Lol! I probably ought to complain more because WOW is there always a lot to do!! So I hear you on that. Thanks, Cyndi! I blogged in secret for a year too – totally understand Sarah! 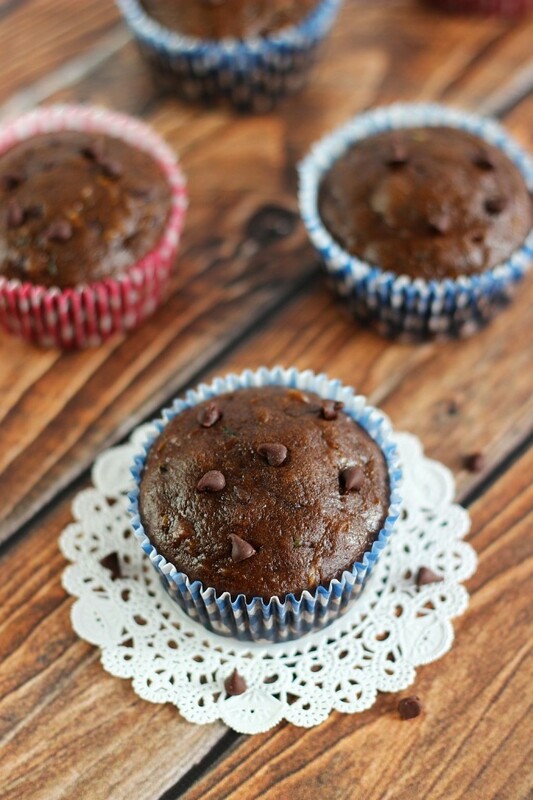 These muffins do look pretty amazing, love chocolate and zucchini! I remember that! I knew I was not alone in hiding it. Lol! Thanks, Stacey! What a great guest post!! These muffins looks wonderful! Such a great way to use zucchini! I agree. Zucchini is far more tolerable when it’s combined with chocolate. Haha! Thank you so much. So glad you liked the post! What a fun story with great memories! Sarah really should post her winning recipe. It would be fun to compare the two 🙂 Your muffins look absolutely delicious Jeff! I love that you made them a bit healthier. Yep, I have to post the no-bakes now so we can compare. Lol! Thank you so much, Marion! Love this. I was totally cracking up. The muffins look amazing too! How fun is this?? And I can’t believe you have been hiding your food blogging career from your family, Sarah! Sneaky girl. 😉 And these muffins look amazing! 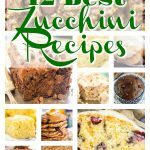 I am all about baking with zucchini- makes everything super moist and bonus hidden veggies. Yes, it was a well-guarded secret for a very long time. Still is a bit of a secret to some people! Lol. I agree – hidden veggies are really the only kind of veggies I like! HAHA!! awwww what a great post. Enjoyed reading and what DELICIOUS looking muffins! Thank you! 🙂 So glad you liked reading it. I know he enjoyed writing it. Lol! LOL! Totally the best!! 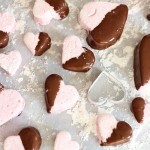 You must try with chocolate chips – it’s especially great with mini chips because they just melt throughout and get you little bites of chocolate here and there!